Corsair ST100 RGB gaming headset stand not only keeps your headphones in place, but also enables full range stereo or 7.1 surround sound with a 3.5mm audio jack, and built-in USB ports charge your mobile devices or connect other USB devices. 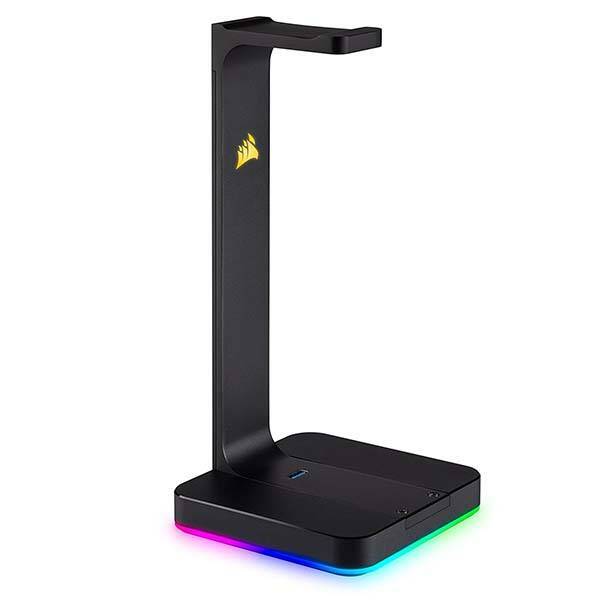 Corsair ST100 RGB is a multi-functional and practical gaming headset stand that measures 4.7 x 4.7 x 9.8 inches and weighs 1.5 pounds. As we can see from the images, the headphone stand shows off a minimal and sleek appearance design, and the matte black finish allows it to perfectly match your gaming gear. Meanwhile, ST100 RGB also features built-in dynamic LED lighting across 9 zones for charming visual effects. Corsair ST100 RGB is designed to hold your premium gaming headset or headphones in place for easy access and safe storage. Furthermore, the headphone stand comes equipped with a 3.5mm analog audio jack that works with your headset and bring you stereo or 7.1 channel surround sound for enhanced gaming experience. Furthermore, the gaming headset stand also features two USB 3.1 ports for charging mobile devices or connect other devices with your computer. 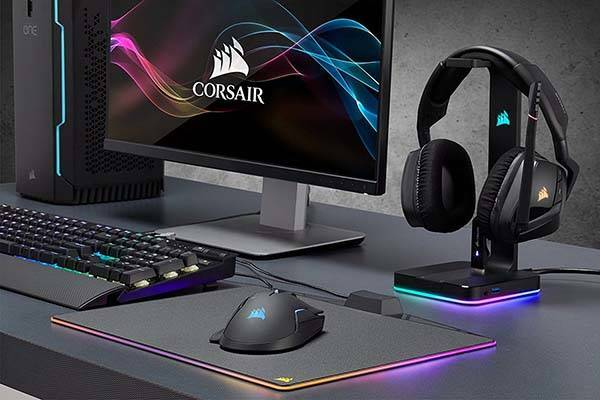 In addition, Corsair CUE software allows you to control the RGB lighting and audio settings. Corsair ST100 RGB gaming headset stand is priced at $59.99 USD. If you’re interested, jump to Amazon for its more details.